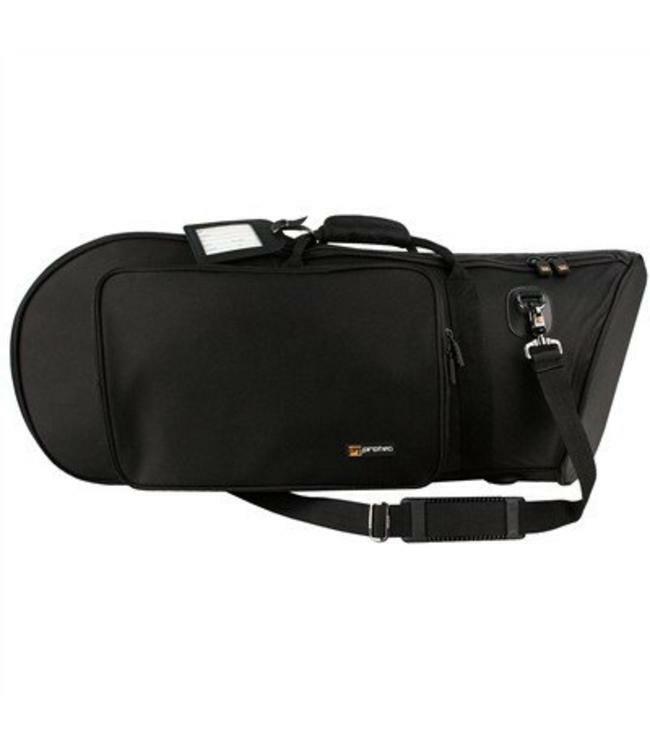 Protec's Gold Series Gig Bags for Euphonium feature a weather resistant nylon exterior, roomy exterior pocket that can fit sheet music, super soft interior lining, built-in padded backpack straps, and bell area reinforced with a fiberboard lining for extra protection. Available for Bell Up or Bell Forward horns. Interior Dimensions: 33.5 x 13 x 7.5"
Bell Diameter: up to 12.5"